Food Digest is a quarterly newsletter written by inspectors from your local health department to support and educate Hennepin County food facility owners and managers about food safety as recommended by Minnesota Food Code 4626. Applications for special events must be submitted to our office at least 7 business days prior to the event to avoid a late fee. It is a good idea to send in the application with payment as soon as possible. In addition to basic processing, an inspector will need to speak to the contact person before the application can be approved. Do not assume you will be approved; applications may be approved with restrictions or not at all. There are two types of special event applications: our “low” application for foods that are non-potentailly hazardous and our traditional (regular) license for foods that pose more of a health risk. These different licenses have different fees and requirements. For help figuring out which application to use feel free to call our office. To find these applications visit www.hennepin.us/envhealth. Effective July 1, 2015, the Cottage Food Law requires vendors selling foods at a community event or farmers’ market that had previously been exempt from special event food licensing (i.e. non-potentially hazardous, home processed, or home canned foods) to register with the Minnesota Department of Agriculture. The registration process, form and training can be found here. *Note: licensed food establishments cannot use homemade foods in their licensed facilities. We welcome comments or ideas about our newsletter. 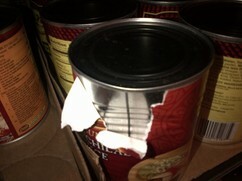 Have you ever noticed a deep dent in a can from a shipment that has just been delivered to the restaurant? Or maybe you noticed some rust forming on the rim as you’re about to open a can. Look for cans that are severely dented (especially on the bottom or top rim, and/or along the seam), rusting, bloating or leaking. In these cases, air may have penetrated the once airtight seal rendering the food no longer shelf stable. With the introduction of air into the can, bacterial growth can begin; contaminants can now also enter the can if the seal has been compromised. It is imperative to have someone from the restaurant check all the cans thoroughly as they arrive at the restaurant. Any cans that are in poor condition (as described previously) should not be used. Cans that will be returned to the vendor should be separated and clearly marked. If cans will be discarded they should be done so properly; someone may think a can was accidentally thrown away and try to use it (i.e. : write “damaged, do not eat” on can using indelible ink (Sharpie), bag and discard). Employees should also be trained to check cans before opening. 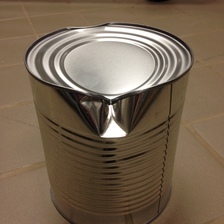 If a can is dropped by an employee resulting in a dent, that can must be used immediately. Do not just put back on the shelf. When storing cans it is important to keep them in a cool and dry location. The Minnesota Food Code rule 4626.0190 3-202.16 Package Integrity reads: “Food packages shall be in good condition and protect the contents so that the food is not exposed to adulteration or potential contaminants”. For more information on shelf-stable food safety visit the USDA website. Maintaining equipment is essential for consumer safety. Whether it is preemptive maintenance on cooler parts and periodic internal cleaning of refrigeration units in disrepair, or basic upkeep like cleaning and replacing broken gaskets; keeping equipment maintained is critical. Without doing so, refrigeration units may no longer be capable of properly cooling or holding potentially hazardous foods at safe temperatures (time/temperature control for safety). 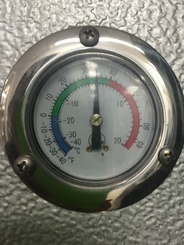 When was the last time you cleaned or had maintenance performed on your refrigeration units? Other basic maintenance that is often overlooked is the can opener. All can openers used must be capable of being thoroughly cleaned and sanitized. Once can openers become pitted on the surface, or adequate cleaning becomes impossible, they must be replaced. 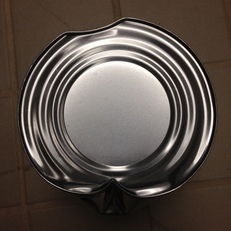 The cutting or piercing parts of can openers may accumulate metal fragments that could lead to food containing foreign objects and possibly result in consumer injury. For more information, please refer to MN Rule 4626.0535 and MN Rule 4626.0735. Has the power in your restaurant ever gone out during a bad storm? This isn’t uncommon during the stormy summer months or even heavy snowfalls in the winter. If the power is out for a period of time so that any of the items listed below in Ordinance 3 are not met, the restaurant must be immediately closed to the public and the health department notified. This ordinance also covers other reasons why an emergency closure would be necessary. Section 6: GROUNDS FOR EMERGENCY CLOSURE. J. Anytime a public health nuisance, as defined in Minnesota Statutes, Section 145A.02 subdivision 17, exists. Does this book look familiar? 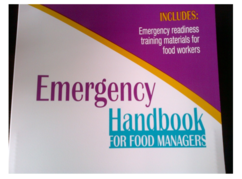 All high risk establishments should have one of these emergency handbooks in the kitchen readily available to employees. If you don’t have one, stop by our office (1011 First Street South, Suite 215 Hopkins) to pick one up free of charge. These handbooks are very beneficial to establishments and come in multiple languages including English, Spanish, Hmong and Chinese. Visit www.hennepin.us/envhealth to subscribe to our e-newsletter.